"This easy chutney is a great companion for so many dishes from turkey sandwiches to pork chops." 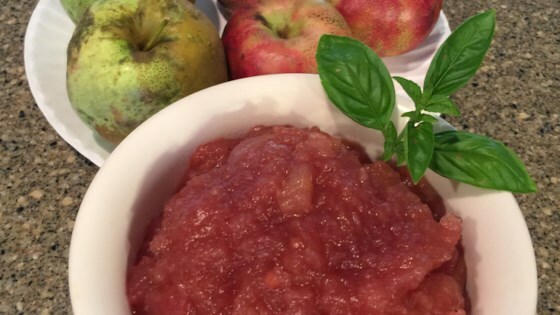 See how to make a spiced apple sauce that blows regular apple sauce away. It was just liked baked apples. Really good. Excellent! I used old, mushy, sweet apples (decreased the sugar) and it turned out great. Next time, I'll use less ginger since it was a bit overpowering. This recipe is wonderful! Just the right blend of spices. Perfect as a side dish for those fall recipes. Great flavor and very easy to make. The ginger really packs a punch so don't over do it. Watch the yield because it makes alot.